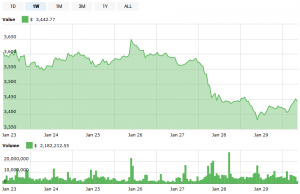 Despite the news that US-based mutual fund giant Fidelity Investments may be aiming for a launch of its highly anticipated crypto custody solution in March this year, bitcoin’s reaction was muted. As of press time Wednesday morning, the price of the number one cryptocurrency was up roughly 1% over the past 24 hours, after seeing a sell-off of roughly 4% earlier in the week. 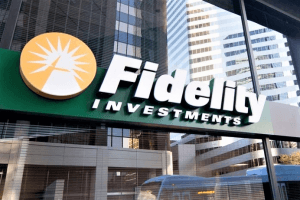 Fidelity, which is the fourth largest asset manager in the world with USD 7.2 trillion in assets under management, last year launched Fidelity Digital Assets as a separate company to handle all things blockchain related that Fidelity is involved in. This includes crypto custody, trade execution, and support for various institutional clients looking to dip their toe into the world of digital assets. 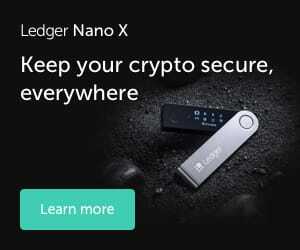 Now, the company is making progress with its digital asset custody solution, three anonymous sources at “firms that spoke with Fidelity in the past several weeks” told Bloomberg. According to the sources, bitcoin custody will be coming up starting in March, followed by custody of ether, the native cryptocurrency of the Ethereum platform. “We are currently serving a select set of eligible clients as we continue to build our initial solutions. Over the next several months, we will thoughtfully engage with and prioritize prospective clients based on needs, jurisdiction and other factors,” the company said. However, if the news is true, this might be a significant event for the crypto market. Fidelity is much better placed to know and understand institutional client demand than the upstarts. So if they are pushing forward, thats a big indication of a market need. The lack of proper third-party custody solutions for cryptocurrencies has been widely considered an obstacle for financial institutions looking to get into the world of crypto, as this is a strict requirement from financial regulators around the world. However, Fidelity’s CEO Abigail Johnson is known as crypto-friendly, and has made it a mission for her company to offer these solutions to the rest of Wall Street. Meanwhile, as reported in December, it seems that Wall Street is in limbo regarding its cryptocurrency plans, even when some crypto scene players are calling the bottom. However, this silence of the institutional players might be illusory. Tyler Welmans, Deloitte UK's blockchain lead, told Cryptonews.com that he expects continued growth in corporate investment in crypto-related platforms and services, with the recent slump in the market arguably making crypto as a whole more attractive to certain investors. "With respect to public networks and cryptocurrencies, there are few signs banks are investing directly in cryptocurrencies, although plenty of niche investment funds are,” he said earlier this January. “However, we continue to see strong growth in the development of cryptocurrency-linked products and services, such as exchange trading, futures and custody services."